Please note, this list includes commercial partners, so suggestions are not curated by Time Out. 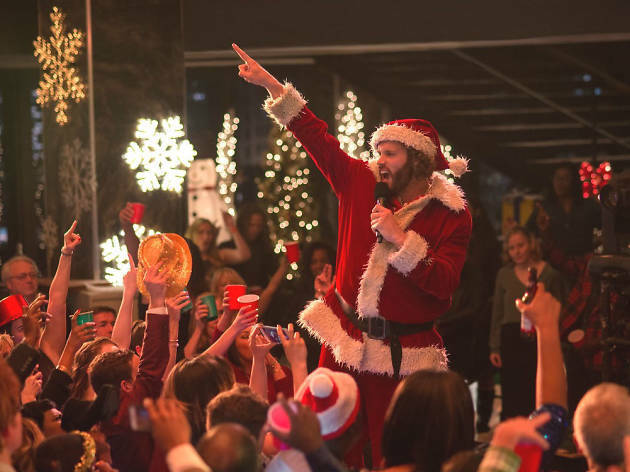 Finding a Christmas party venue in London is no mean feat, so we’ve taken the pain out of it with this handy list of fun and quirky London venues. 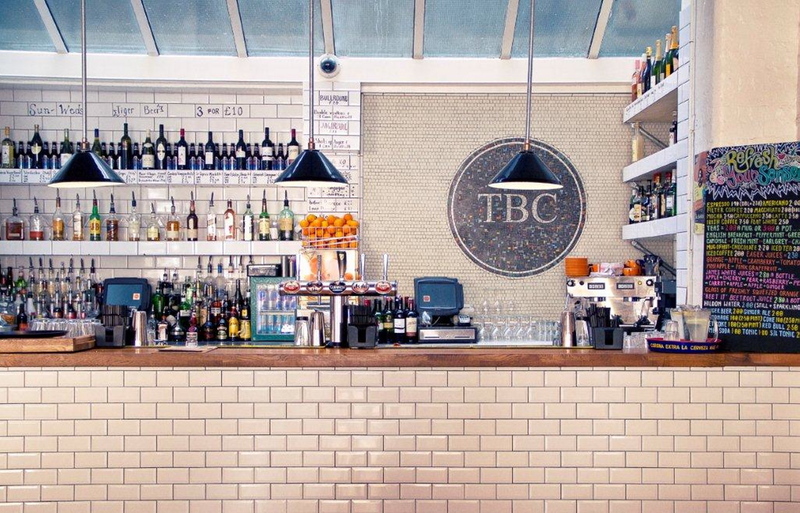 Whether you’re looking for an office party space, somewhere to dine and celebrate or a place for a good ol' get together with friends, flick through the tabs below to find venues in central, north, south, east and west. London's most elegant private dining room with over 350 wines to compliment your meal. The menu carefully curated by Head Chef Alessio Piras i revolves around classic Italian cuisine with a focus on quality, seasonal ingredients. Capacity Up to 32 seated/standing. Good For Taking your occasion to the next level with our signature service. 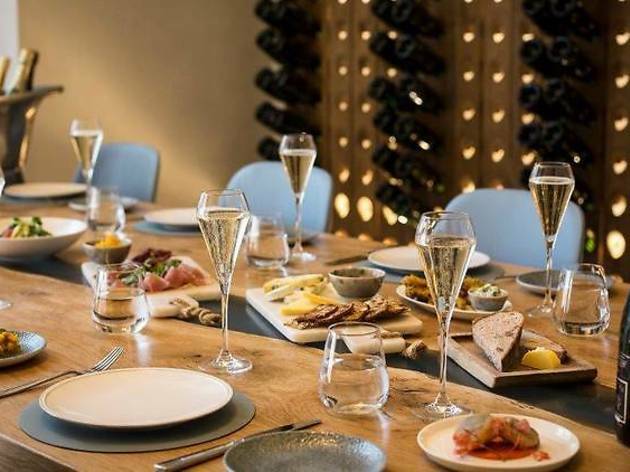 Europe's longest Champagne bar is located upstairs at St Pancras International, a sumptuous break away from the hustle and bustle of the station. 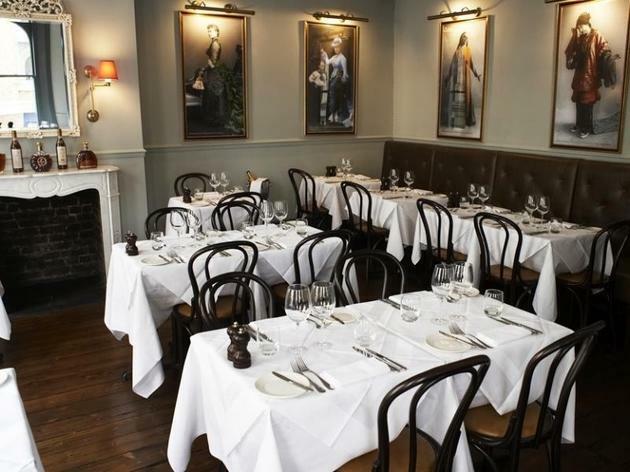 Their Brasserie can be transformed into a spectacular event space for exclusive hire for any occasion. Capacity: Up to 150 seated, up to 220 standing. Good For: Meetings, dinners, standing receptions and other memorable Christmas experiences. Tucked away in a tranquil courtyard in Mayfair lies this sophisticated restaurant. 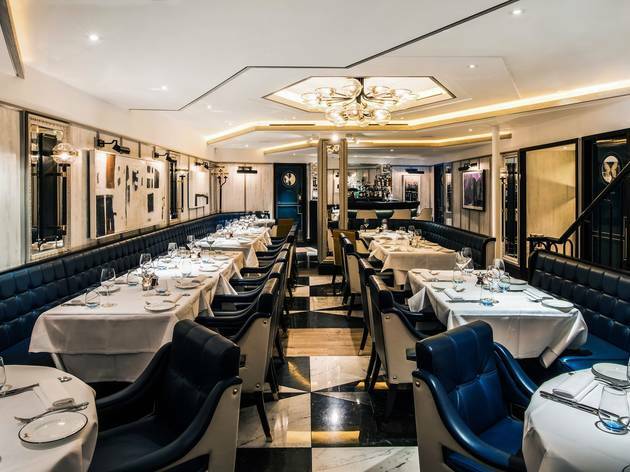 Hush offers multiple dining spaces; a classic brasserie, the elegant Blades dining room, award-winning Aviator cocktail lounge, hidden gem The Sir Roger Moore Room and one of London's finest outdoor dining spaces. Capacity: Up to 66 seated, up to 100 standing. Good For: Xmas parties of all shapes and sizes! Brand new for this winter is The SIN BIN. in partnership with MEATliquor, London’s only dedicated curling rinkside dive-bar and diner offering guests the ideal spot for any event size. At QUEENS you don’t need a jubilee to have an excuse to throw a great party! Good For: Any kind of Xmas celebration from office functions to holiday get-togethers! 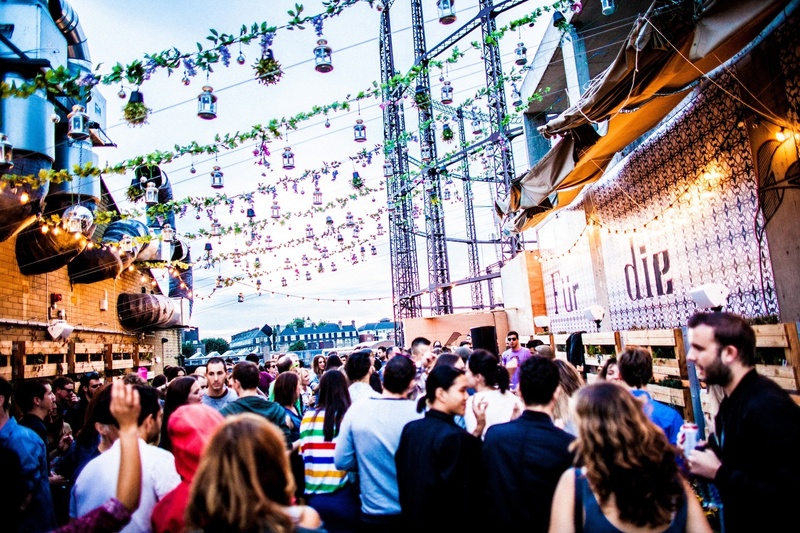 A central London venue that’s all about throwing parties on a big scale. 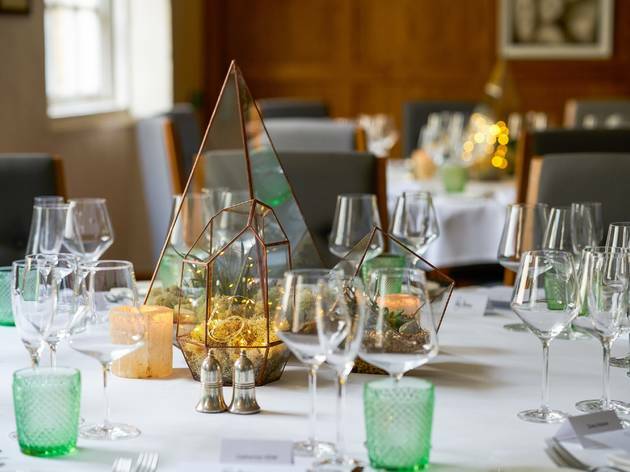 You can host parties for up to 1,000 guests, from Christmas dinners to drinks receptions. This year there are two festive themes to pick from: The Enchanted Forest, where the The Ballroom is draped with hanging lanterns and snowy foliage and House of Clues, which sees The Old Billiard room transformed into a ’20s Cluedo-esque mansion. The venue accommodates up to 1,000 guests, using a variety of spaces: The Ballroom (up to 700), The Old Billiard Room (up to 500), Annex (up to 225), Salon (up to 100) and Victoria (up to 100). Contact events@8northumberland.co.uk or 0207 808 3340. The 1950s Americana-themed Bloomsbury Bowling Lanes come complete with reclaimed furniture, a sleek retro bar and a shabby-chic diner that all stand up gallantly to the far more sterile chain, All Star Lanes. East End kids can be found hanging out in this central venue, but don’t let that put you off. 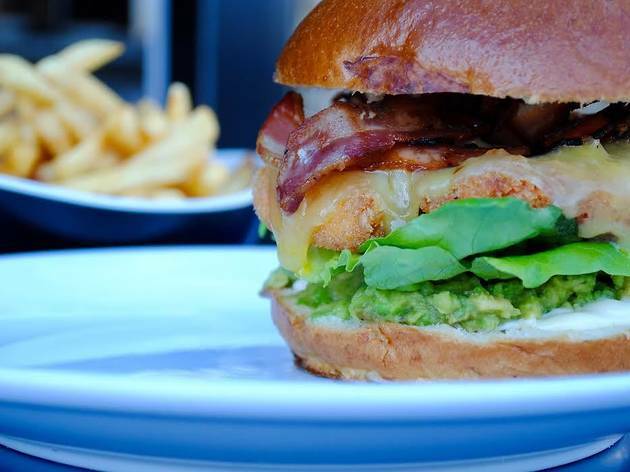 Pop in to practice your swing in one of their eight bowling lanes, nibble on some tasty ‘Lane Snacks’ (burgers, fries, grilled chicken), sip a speciality beer, have a boogie or play a little pool. You can hire The King Pin Suite (up to 280 guests) which includes five bowling lanes, karaoke and a private bar. 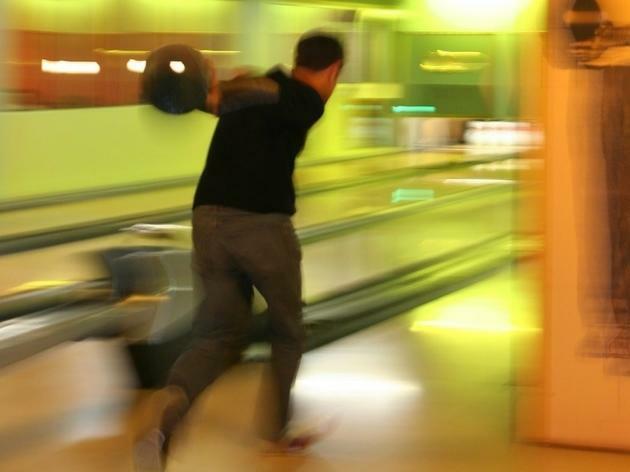 Contact info@bloomsburybowling.com or phone 0207 183 1979. 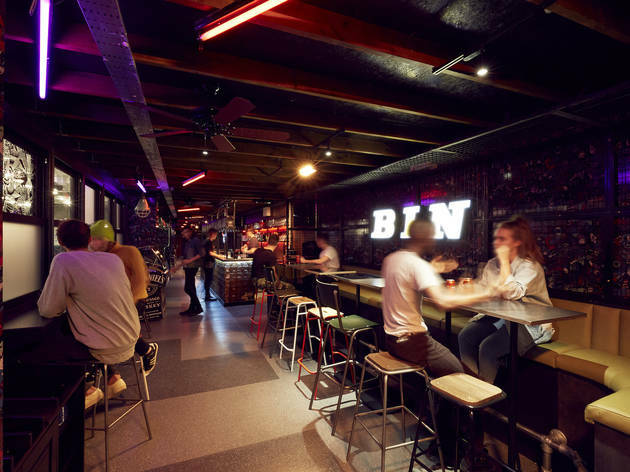 Allegedly located on the very spot that the game was invented, Bounce is a ping-pong bar that serves up a night of competitive fun in an edgy industrial-chic space. The restaurant, safely out of reach of wayward ping-pong balls, is raised on a platform overlooking the drama unfolding on the 16 tables below. 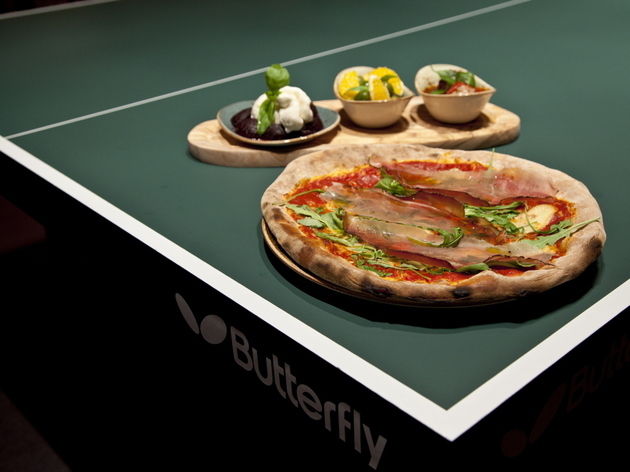 A selection of antipasti and pizzas (straight from the wood-burning oven) provides players with ample sustenance. You can hire private rooms (up to 120 guests) and exclusive areas (up to 110 guests). 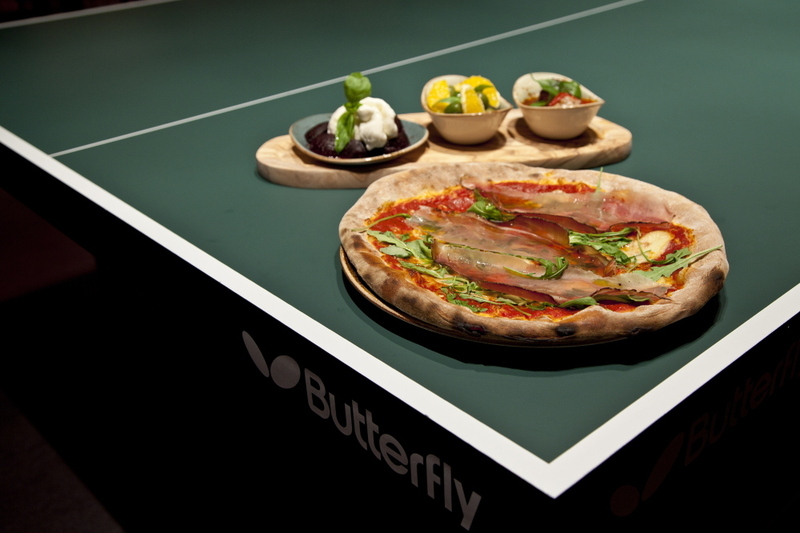 Contact events@bouncepingpong.com or 020 3657 6521. 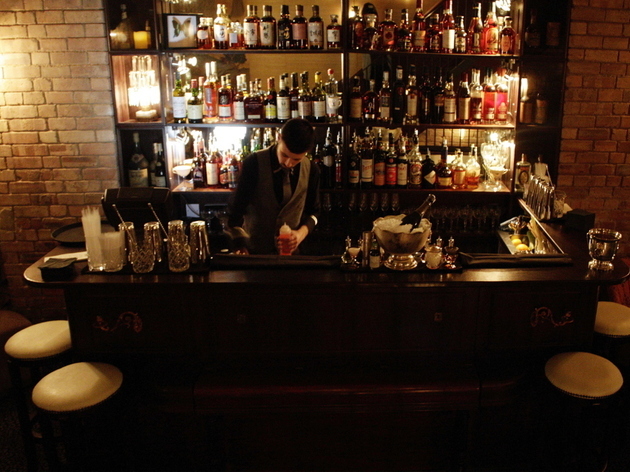 This is probably the closest you’ll get to a proper speakeasy in London. 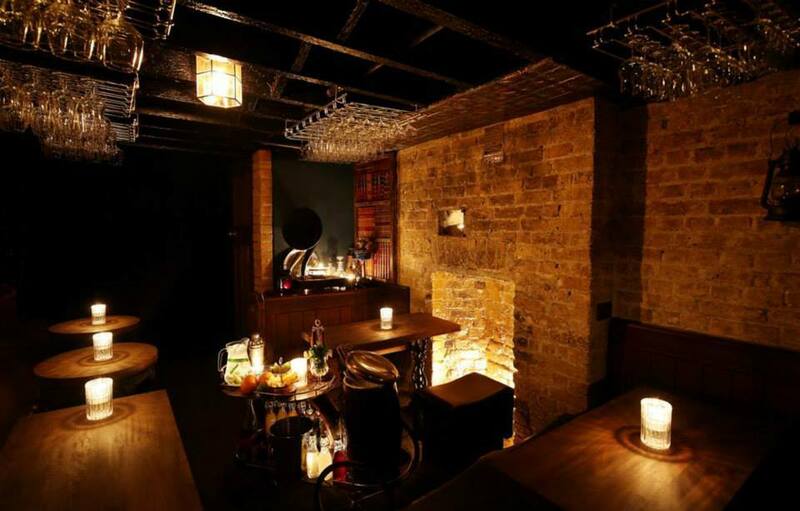 You have to book in advance for a two-hour slot at this tiny candlelit space beneath a juice bar in Covent Garden (there's also a second branch in Camden). 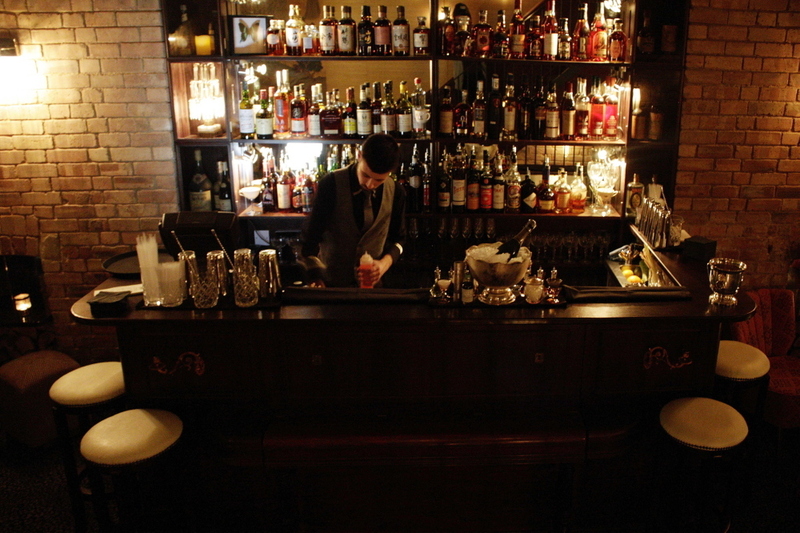 The concept is ‘Bring Your Own Cocktail’ – or rather, bring your own bottle of spirits, and the bartender will create bespoke cocktails for you from his old-fashioned drinks trolley. For your festive party, BYOC can put on events and workshops like Martini Masterclasses. Tally ho, old chap! 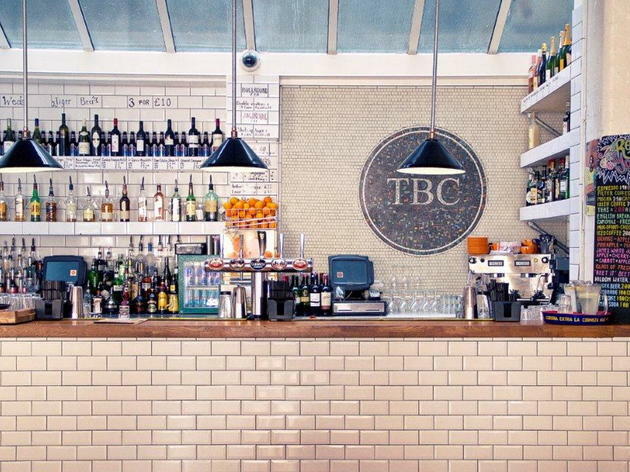 Channel London’s Blitz spirit at this vintage tube-themed boozer. The Soho cocktail bar is a fun venue for a 1940s-style knees-up, with an extensive cocktail menu (printed on a newspaper – where else? ), a retro swing soundtrack and suitcases full of nostalgia. You can hire the Train Carriage (up to 40 guests) or the entire venue (150 guests). Contact events@cahoots-london.com or 0207 352 6200. 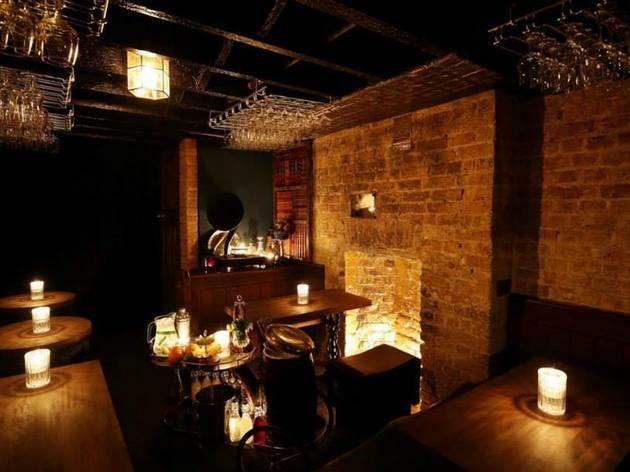 As bar after bar opens using the rather tired ‘Brooklyn Prohibition’ template, Experimental Cocktail Club seems ever more original – it’s hard to find, sure, perhaps more so than any other ‘speakeasy’ in London, but inside remains opulent and elegantly aloof to trends. It’s arranged over three floors of an old Chinatown townhouse, flatteringly lit and expensively decorated. 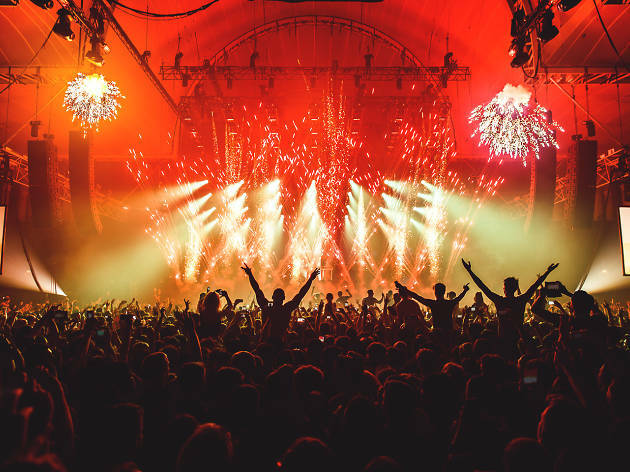 Ally Pally sits high on a hill with views over the city, and is fully licenced with in-house teams who can transform the huge space into countless guises. 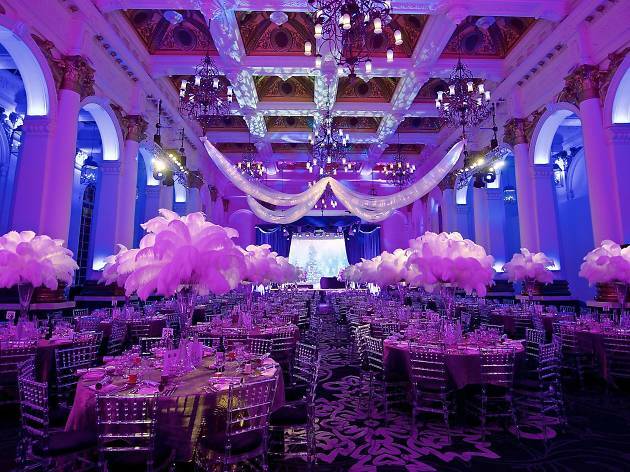 You can organise events for up to 10,000 guests, so the possibilities are endless (as long as your budget is). You can hire The Londesborough Room (up to 200 guests), Palm Court Suites (up to 75), Palm Court (up to 2,000), West Hall (up to 2,500), Panorama Room (up to 700), The Palace Suite (up to 400) or The Great Hall (up to 7,250). 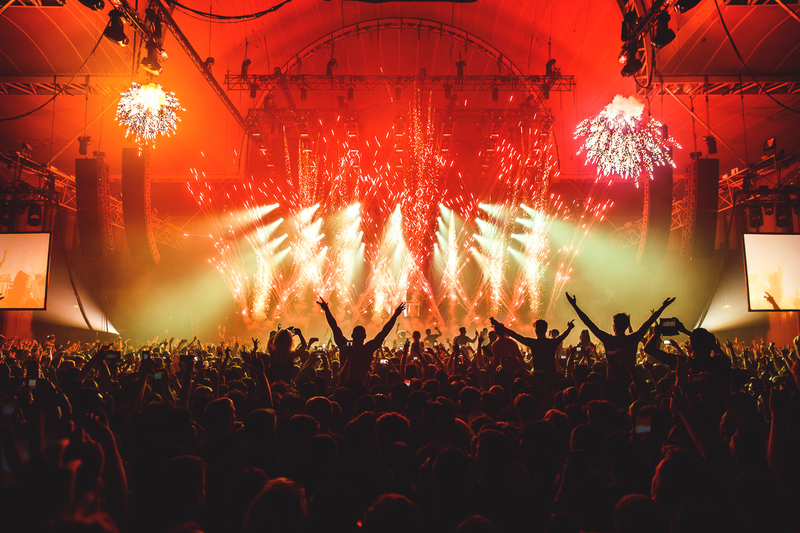 Contact sales@alexandrapalace.com or 0208 365 4314. The name sounds pretty creepy, right? 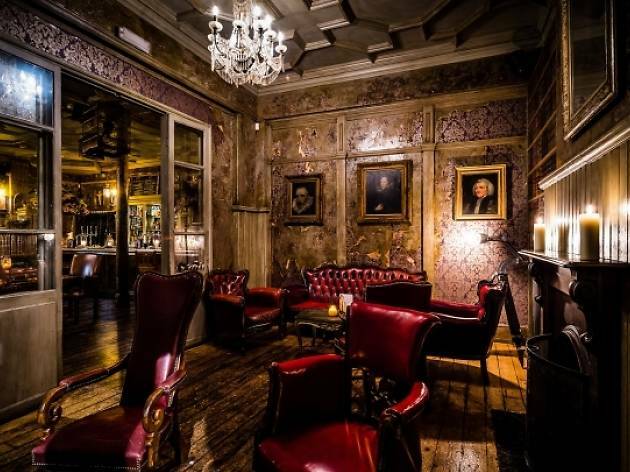 But while there is a certain subtle Addams Family-do-Hoxton air to The Dead Dolls Club, the vibe of this classy restaurant and bar is definitely more cool than creepy. The aesthetic comes from the artfully created marker pen drawings that cover most of the walls of the former textile factory, giving a kooky-yet-upmarket DIY feel, which is balanced by the ornate, vintage-style furniture inside. By day, this King’s Cross venue is a girly sweet-shop café. By night, it’s a cocktail bar and club, which also plays host to all sorts of crafty activities. When it comes to Christmas parties, Drink, Shop & Do can provide buffets, sit-down dinners, drinks receptions, DJs and dancing. 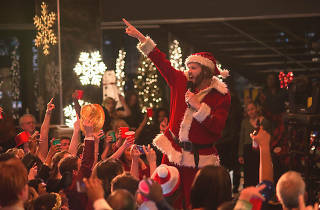 You can also opt to play party games, design festive jumpers or play musical bingo. You can book The Bar (up to 130 guests), The Dome Room (up to 45), The Steam Room (up to 110) or the whole venue (up to 240). 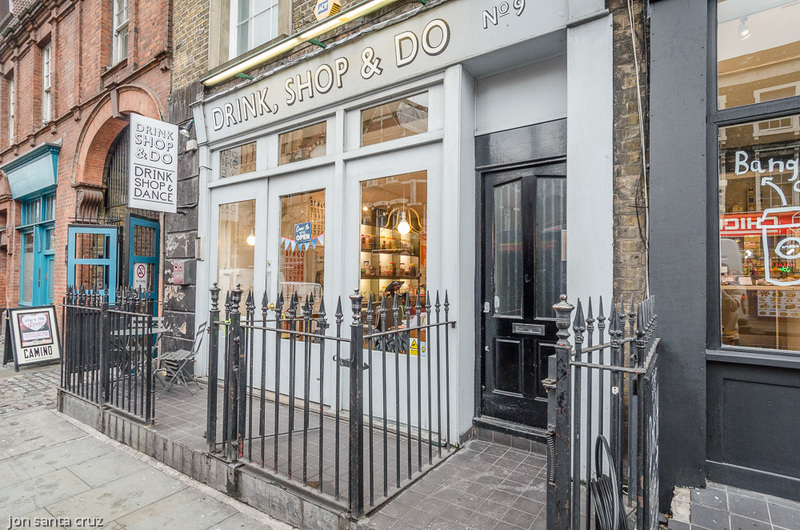 Contact mail@drinkshopdo.com or 0207 278 4335. Eco-sustainable building The Forge is a music and arts venue in the heart of Camden Town, but it’s also geared up for private events. At Christmas they can provide the perfect space for anything from a formal dinner to a live music night. They also offer a number of party packages including a Cuban carnival and a funk and soul evening. You can hire The Main Space (up to 100 guests), The Foundry Room (up to 80) or the full venue (up to 300). Contact hire@forgevenue.org or 0759 659 2156. 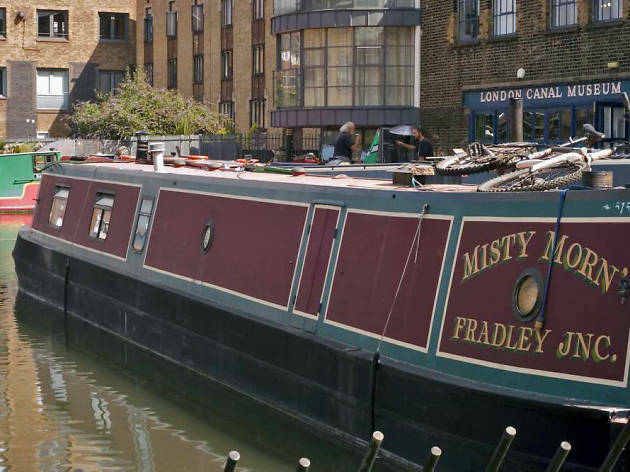 The people, vessels, trade and wildlife of the capital’s canals are explored in the London Canal Museum. The museum is housed in a former nineteenth-century ice warehouse, used by Carlo Gatti for his ice cream, and includes an exhibit on the little-known trade in ice imported from Norway and once stored in two huge wells beneath the museum. Contact hire@canalmuseum.org.uk or fill out their online booking form. 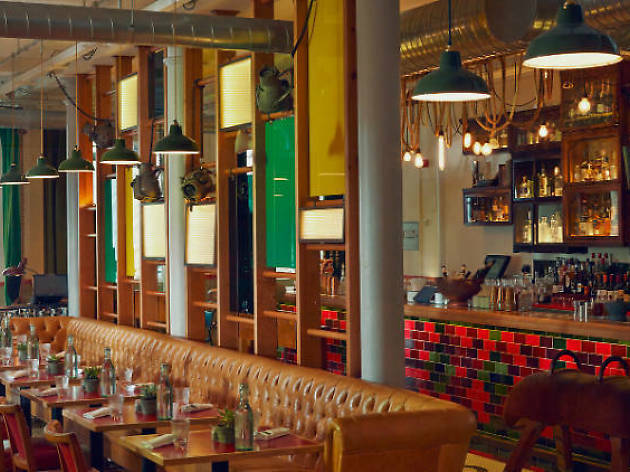 This good-looking new dining room and bar can be found on Granary Square in King’s Cross. 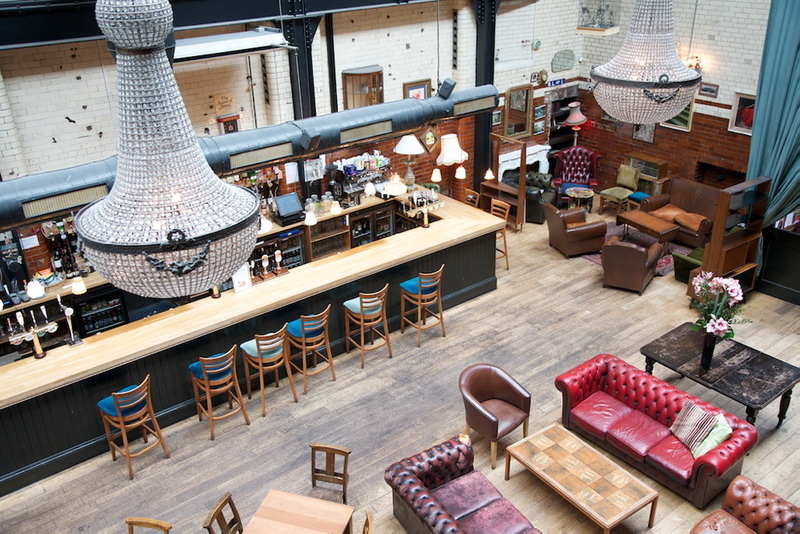 Set over three floors, the swish space can be hired for private parties overlooking Regent’s Canal. You can hire an area or the entire venue (up to 100 guests). Contact reservations@thelighterman.co.uk or 0203 815 6700. Oh the glamour of the railway. 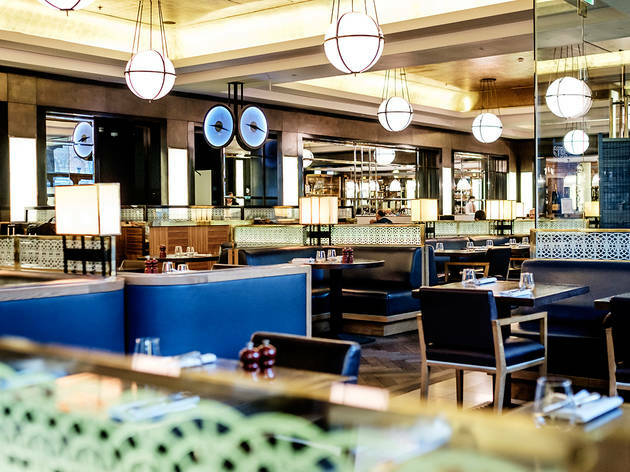 This 1920s art deco-style restaurant and champagne bar can be found above St Pancras International station. The champagne bar, the longest in Europe with fun ‘press for champagne’ buttons, is under the curved glass ceiling with panoramic views of the historic station. Contact events@stpancrasgrand.co.uk or 0207 923 5455. 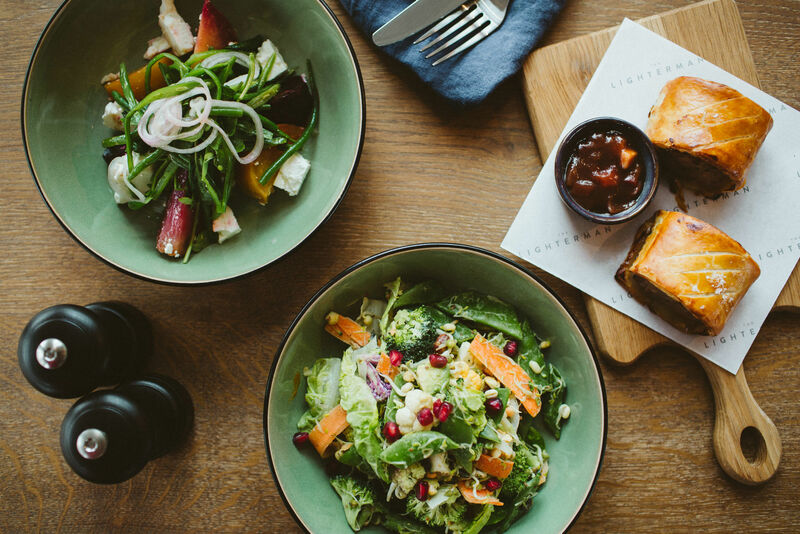 Venue says Welcome the springtime and celebrate with our seasonal set Market Menu: two courses for £19. 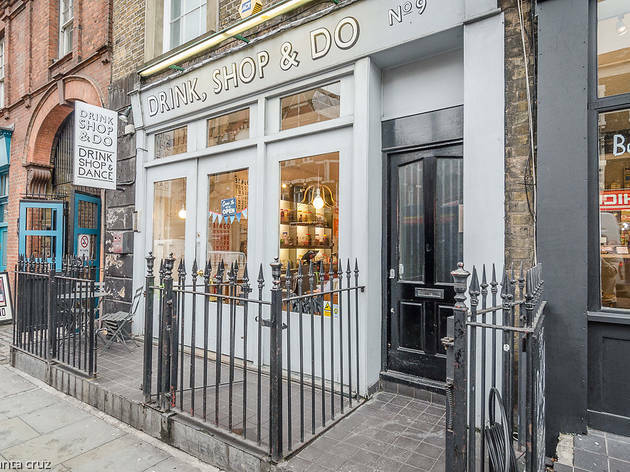 This slick little bar at the unfashionable end of Brick Lane hosts club nights, live acoustic music, comedy, film screenings and variety events. They can arrange DJs or live music for your Christmas party, as well as canapes or drinks packages. You can hire the whole venue (up to 160 guests), the lounge bar (up to 100), the basement (up to 80) and the beer garden (up to 40). Contact 0207 247 7717 or kim@applesandpearsbar.com. 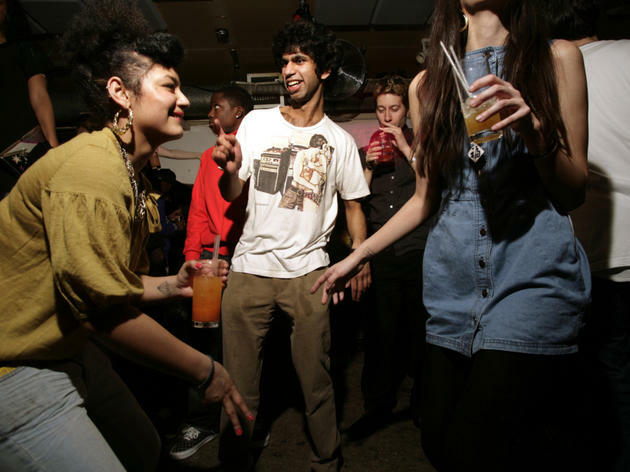 A popular laidback, lived-in basement bar that originally helped Hoxton earn its hip title. It's kitted out with low-level furniture and a small bar stocks bottled beers, classic cocktails and champagne, while upstairs is a modern Brit menu for the hungry. 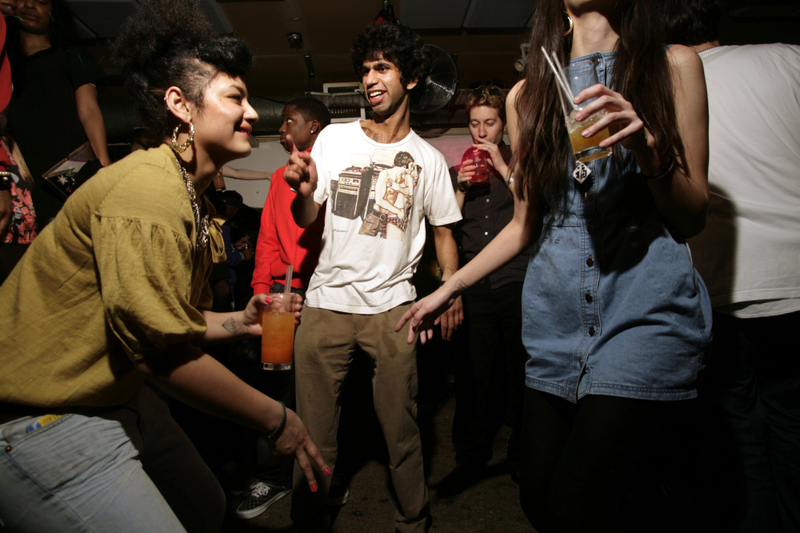 Disco-ing down is common on the weekends, but whenever you go TBC really specialise in unique and unusual nights out. 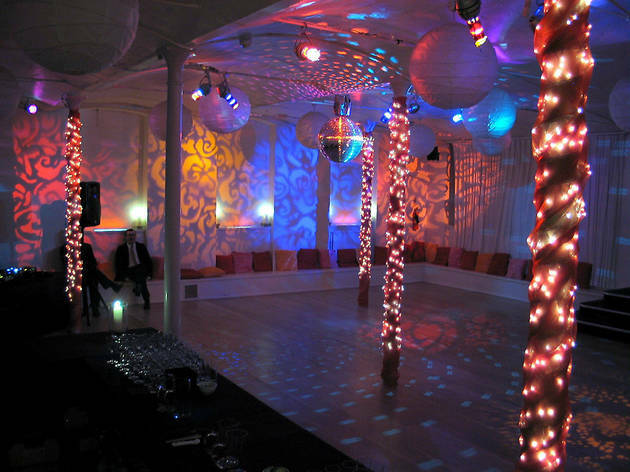 You can hire a semi-private area, a floor or the whole venue (up to 500 guests). Contact anthony@mothershipgroup.com or phone 0207 784 8618. 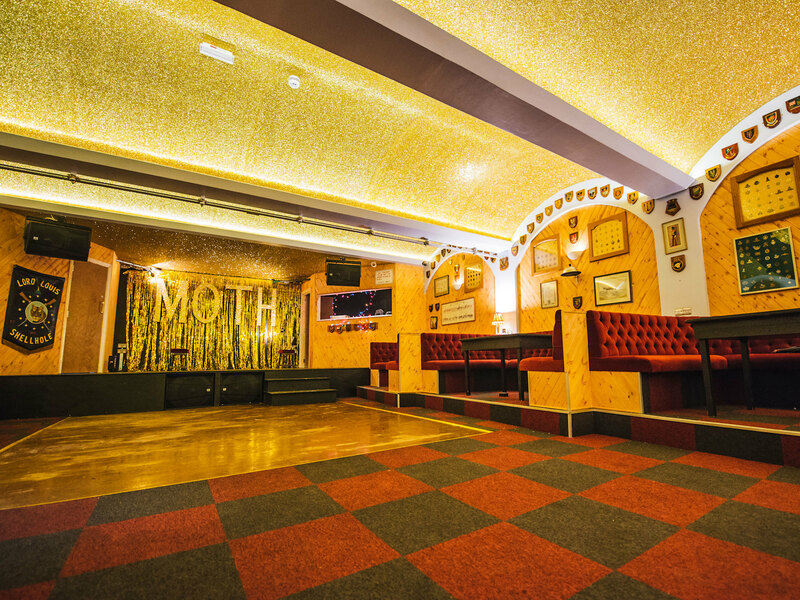 A new nightspot in Hackney from the team who run the Shacklewell Arms and Lock Tavern, Moth Club is a former trade hall that houses a military veterans’ club alongside its hipper clientele. 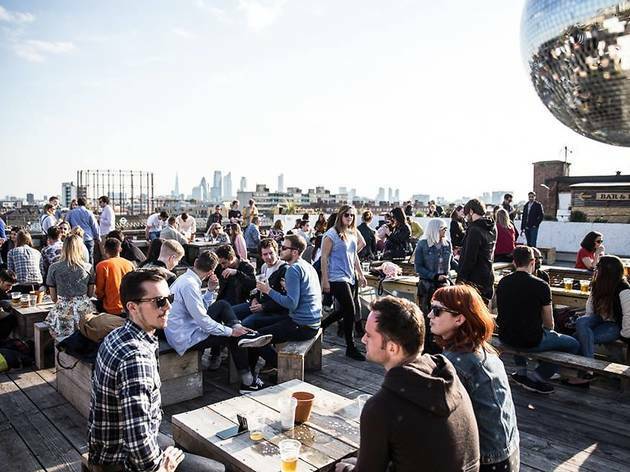 It's a quirky, kooky and thoroughly glittery little space, hosting suitably leftfield events and music, such as oddball karaoke and bingo nights, plus plenty of live bands. 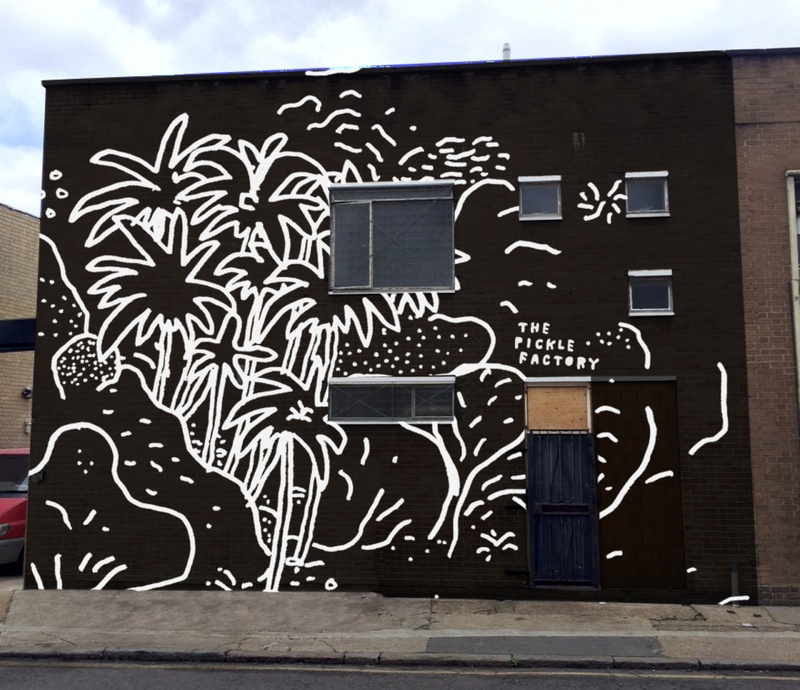 In an old council college and office block on the corner of Mare Street and Westgate Street, Netil House combines 90 studios with public spaces in which it holds film screenings, live performances, exhibitions, talks, shoots and promotions. 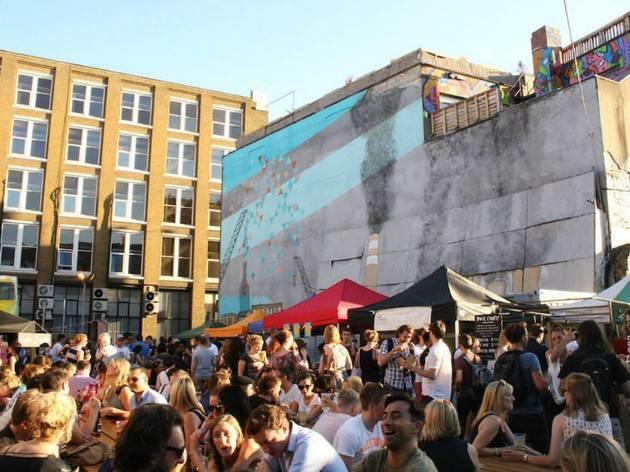 There's a real buzz along the west bank of the Lea, with Hackney Wick's Yard theatre and numerous galleries supported by a growing number of café-restaurants. 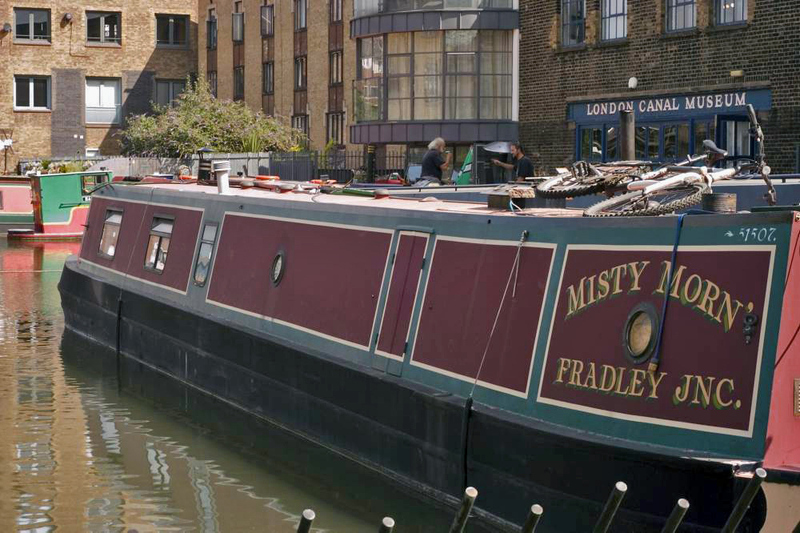 But we're taken with the 2014 newcomer Number 90, which is a higgledy-piggledy mix of gig space, bar and restaurant – with a cracking Lea-side terrace, where you can even lounge in a moored narrowboat, at least until that afternoon's alt-folk combo appears to perform from it. Contact 0208 986 0090 or nathalie@thenumbergroup.com. It’s fitting that such an impressive venue should sit beside a giant landmark that marks it out dramatically in the skyline. Located at the base of a disused gasworks off Hackney Road, this enormous hangar-style space is 6,000 square feet of fun and was one of the most impressive and exciting additions to London nightlife when it opened. 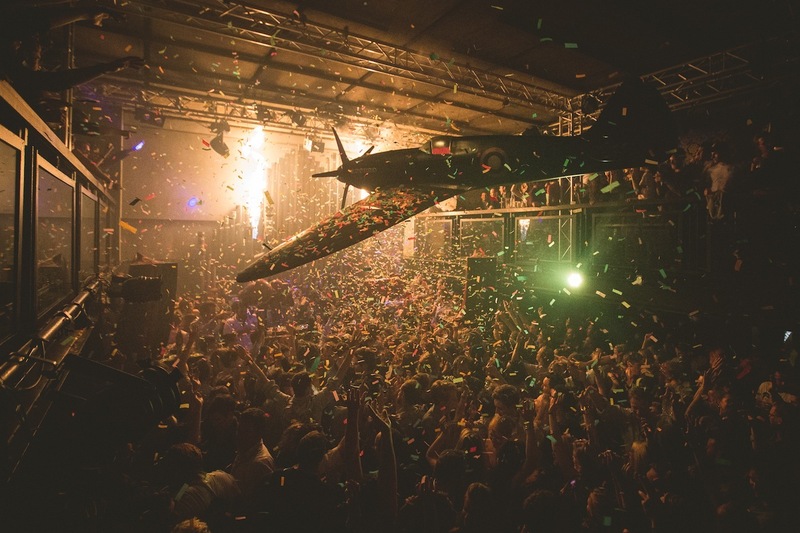 A mix of ace one-off parties and regular events quickly marked OS as one of the most innovative venues around. 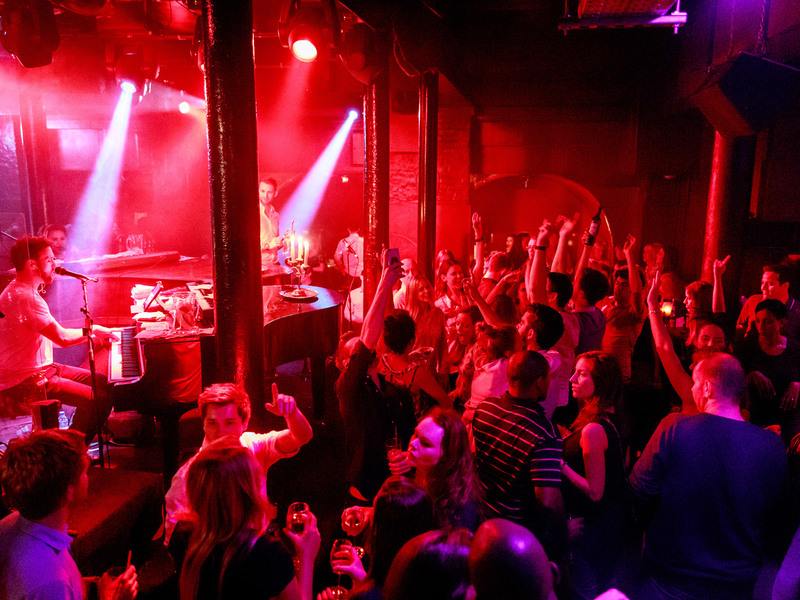 A live music venue in Farringdon, where you get to request every single song. You can start your night with a sit-down meal while the band sing, and later tables are pushed aside for some serious dancing. You could even turn your party into a singing lesson; they boldly promise to transform your group into a choir in just 60 minutes. You can book a function room (up to 75 guests) or the whole venue (400) for your event. Contact hello@pianoworks.bar or 0207 278 1966. 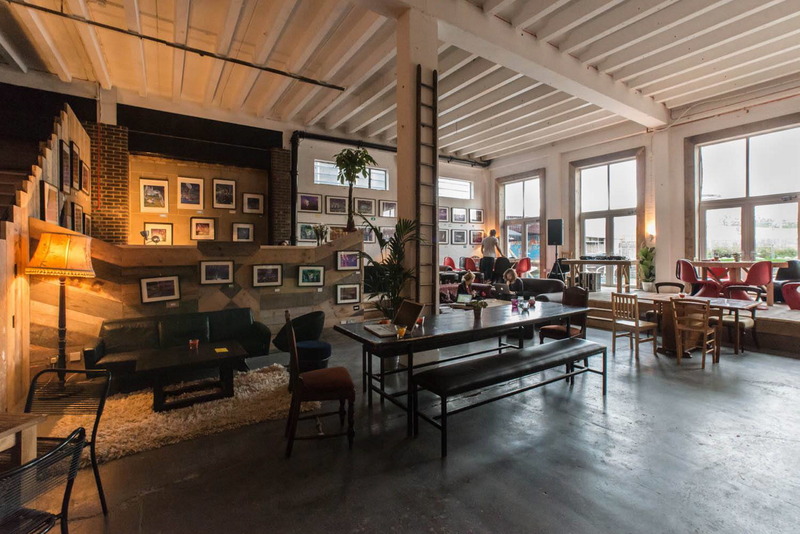 This industrial-ish space in Tower Hamlets is owned by the same team that run Oval Space. 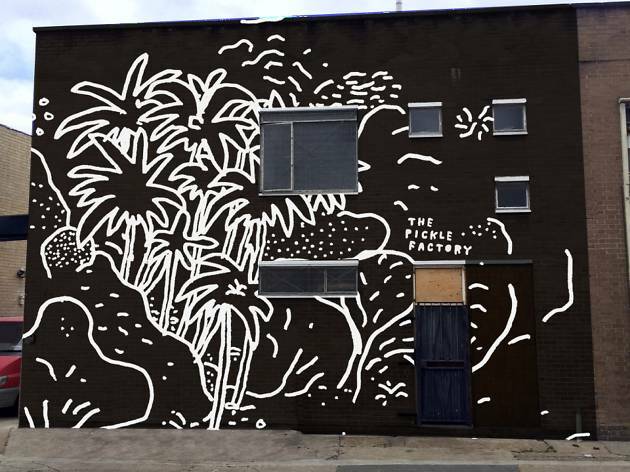 Sitting directly opposite that venue, TPF did indeed used to operate as a working pickle factory, but recently launched as fully operational music and nightlife venue, but also available for one-off parties and private events. It's a big space with plenty of room to create and decorate, allowing those with a vision for a party a blank canvas. 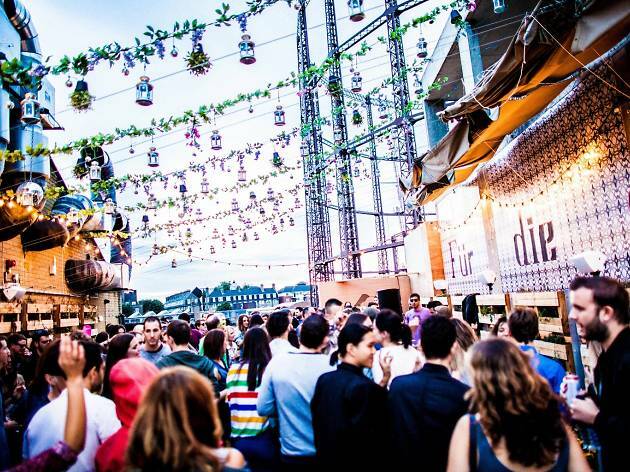 Contact pickled@ovalspace.co.uk or call 0207 183 4422. Up the spiral staircase from the bustling downstairs bar, the dining room at this 250-year-old corner premises is a good-looking, cosy space, making for a high-end gastropub. You can hire the dining room (up to 40 guests). Contact 0207 729 9270 or info@theprincessofshoreditch.com. 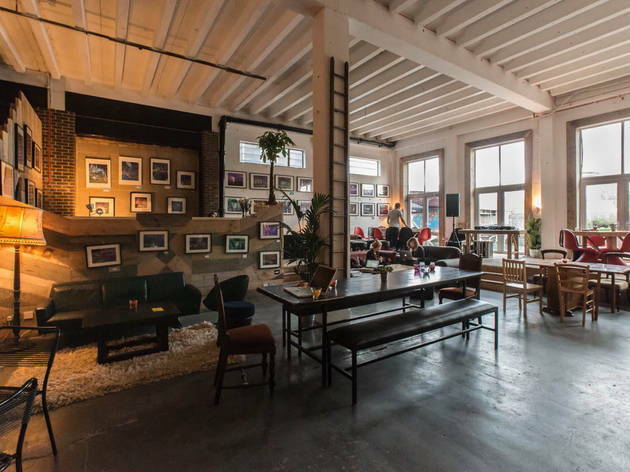 This winding gallery space in the heart of Shoreditch hosts everything from pop-ups and live bands to club nights, exhibitions and pop-up parties like Summer Tales and Street Feast. It can also play host to your festive soiree. Tucked away at the wrong end of Chelsea, this intimate jazz club is a badly kept secret. Catering to a diverse crowd of serious jazz types and partygoers in search of late-night nibbles and sounds, the 606 Club has been part of London's musical landscape since 1976. One of the busiest jazz clubs in Europe it has live music seven nights a week. 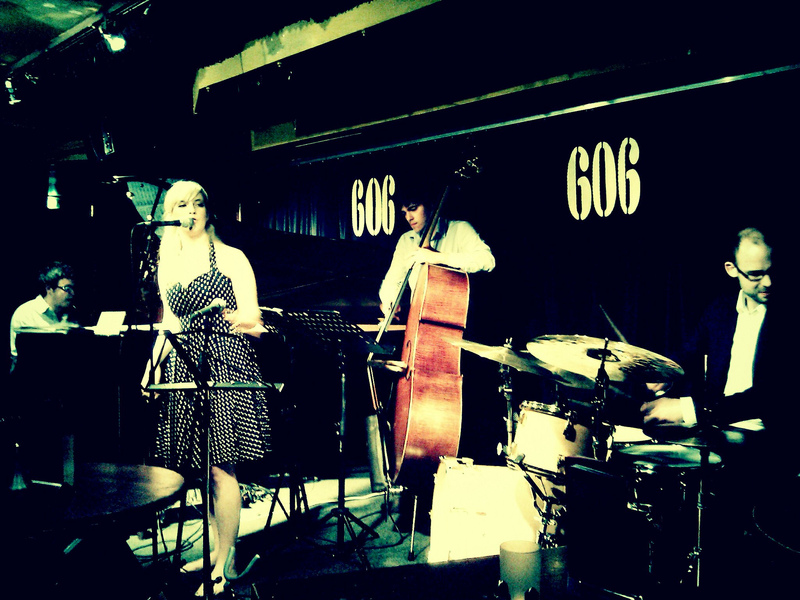 The 606 Club's stage is almost exclusively limited to British jazz musicians, which might sound like a recipe for commercial suicide, but the longevity of this club speaks volumes. You can hire the entire venue (up to 140 guests). Contact 0207 352 5953 or Jazz@606club.co.uk. 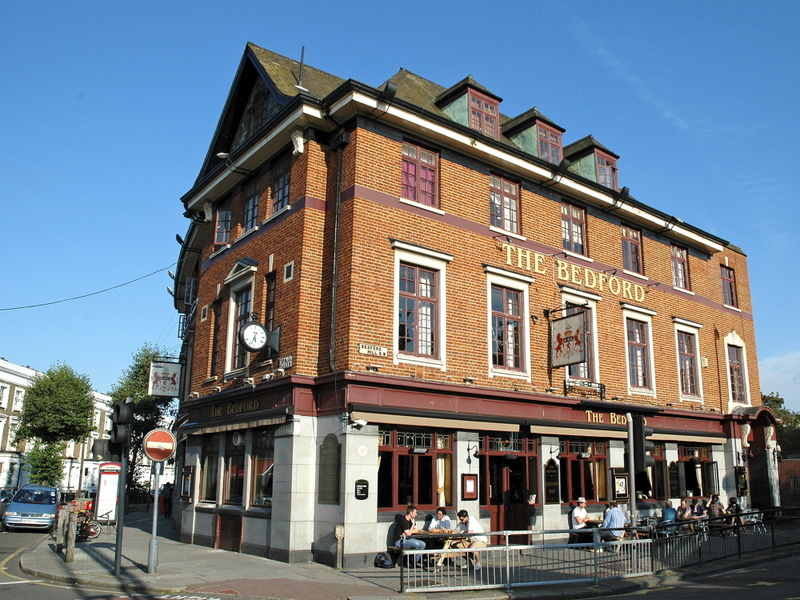 This friendly boozer is a great place to check out comedy (particularly at the regular Banana Cabaret Comedy Club) and music (folk, blues and rock, from both new acts and rising talents) or just kick back and enjoy a few pints. You can hire The Ballroom (up to 200 guests), The Harlequin (up to 20), The Tavistock (up to 80), The Map Rooms (up to 80), The Side Bar (up to 70) or The Theatre (up to 250). 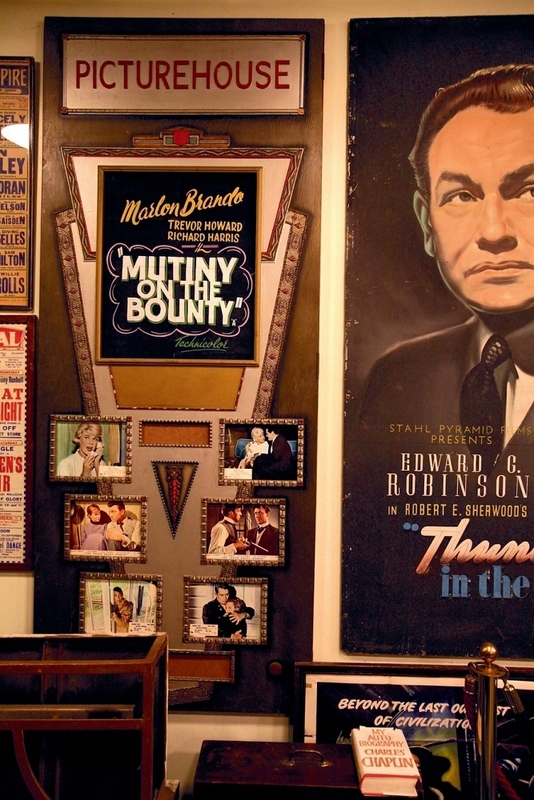 This collection of artefacts, memorabilia and equipment telling the history of cinema from the 1890s to the present can be hired out for private functions. You can hire the main hall or the screening room (36 guests). Contact info@cinemamuseum.org.uk or phone 0207 840 2200. The artistically inclined may take a liking to this Battersea bar overlooking Ransome's Dock, where visitors are invited to scribble and doodle to their heart's content all over the place. 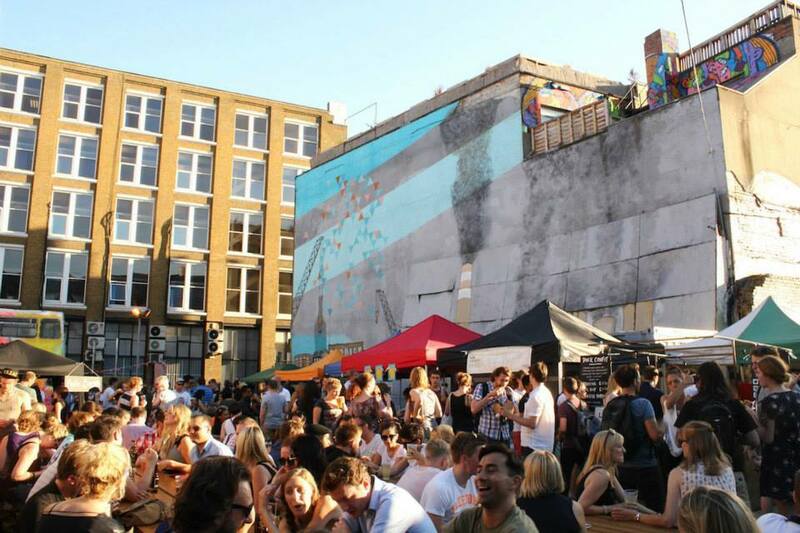 Beers and wines are reasonably priced while street food is on offer too. 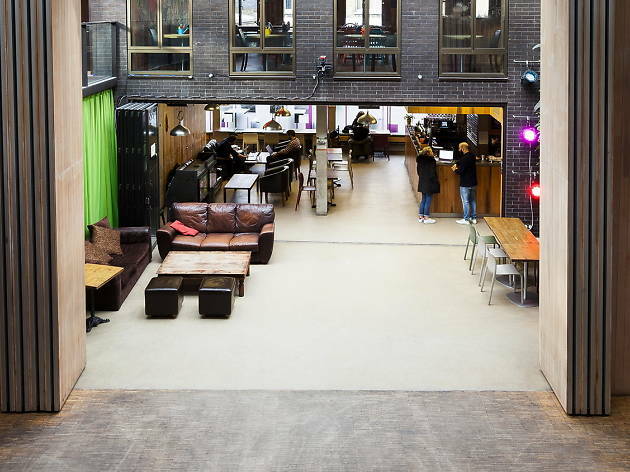 The venue also plays host to crafty workships, film nights and art exhibitions. Contact events@thedoodlebar.com or call 07710390991. This Balham hotspot describes itself as ‘a youth club for adults.’ It’s a bar, restaurant, cinema, gallery, comedy club and yoga studio rolled into one. But the focus is on good food – you can book your own private dining room – and good music. The bookable spaces have their own sound system, dance floor and disco lighting, plus a 2am licence. You can book The Studio (up to 50 guests), The Gallery (up to 120) or the entire venue (up to 500). Contact 0208 772 6556 or fill out their online booking form. 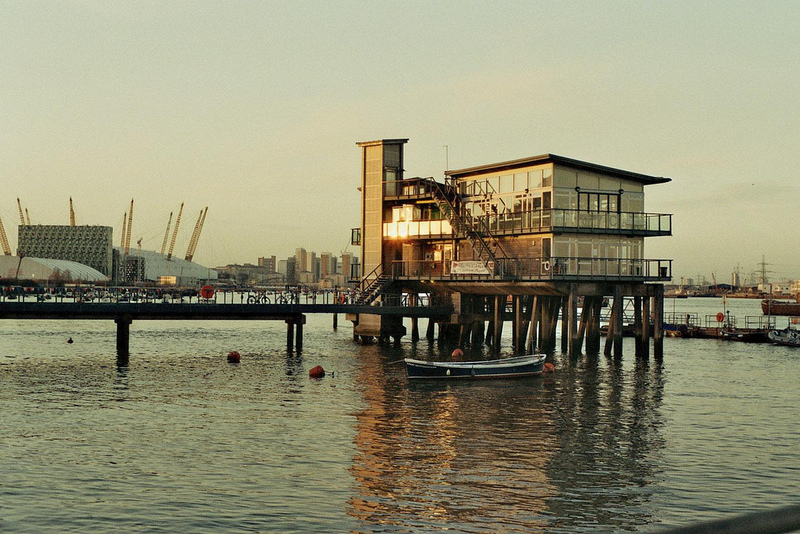 Located roughly around half way between The O2 and the Thames Barrier, Greenwich Yacht Club stands above the river on stilts. 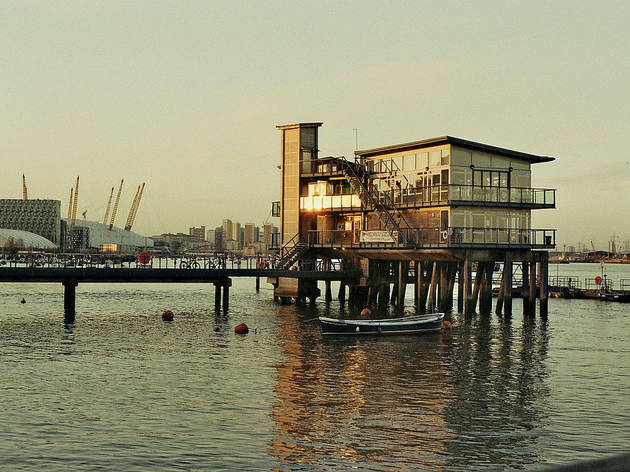 The largely glass building is large enough to cater for all kinds of meetings and dinners and even has its own moorings, what with it being a yacht club and all. You can hire The River Rooms (up to 250 guests), The Clubhouse (up to 150), The Committee Room (up to 30) and the Boat Yard with a marquee provided (up to 500). Contact venuehire@greenwichyachtclub.co.uk or 020 7952 2410. Tucked away down a residential street, Simon Drake's House of Magic lies in wait. It looks like a disused pub, and it is in a sense, but inside, it's a veritable lair of magic. Simon Drake – star of Channel 4's 'The Secret Cabaret' – has decked the place out in red velvet curtains, mismatched wallpaper and mood lighting. Creepy props sit among decadent furnishings, where you can sit and get your fortune told, try out the 'whispering chair' and tour the Haunted Cellar, as well as, of course, witnessing Drake's 45-minute 'Magical Extravaganza'. Contact houseofmagicuk@gmail.com or 0207 735 4777. A beautiful 1930s green and yellow Dutch barge moored between Lambeth and Vauxhall bridge. It's a modest space – only room for 150 max – and most of the time their events are free, so entrance is on a first-come-first-served basis. Visitors here can enjoy a social drink, a gig or hire it out for a personal party. You can book the lower deck (up to 70 guests) or the entire vessel (up to 150). 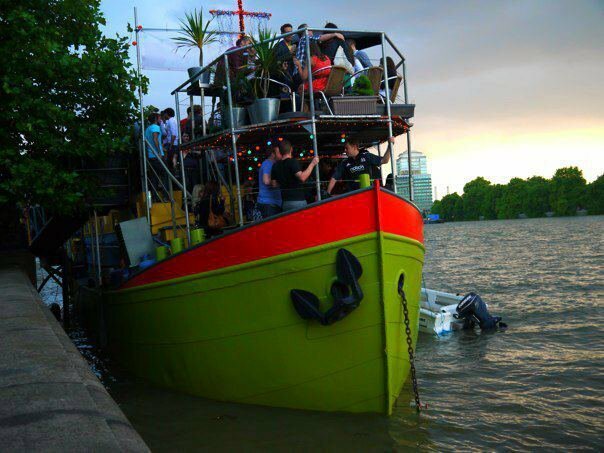 Contact ahoy@tdock.co.uk, 0207 582 1066 or fill out their online booking form. A bar-restaurant offering all-day dining, a lengthy cocktail list and decor inspired by an old-fashioned gymnasium. Food is described as 'a contemporary take on comfort food', with typical dishes including crispy spam fritter and piccalilli, and liver, bubble and squeak croquettes and onion gravy. Breakfast and brunch menus are promised too. The restaurant's name and the leather aprons worn by staff are a nod to the area's past as the location of many of London's tanneries. You can hire the venue for events for between 50 and 450 guests. Contact events@tannerwarehouse.co.uk or 0207 357 0244. 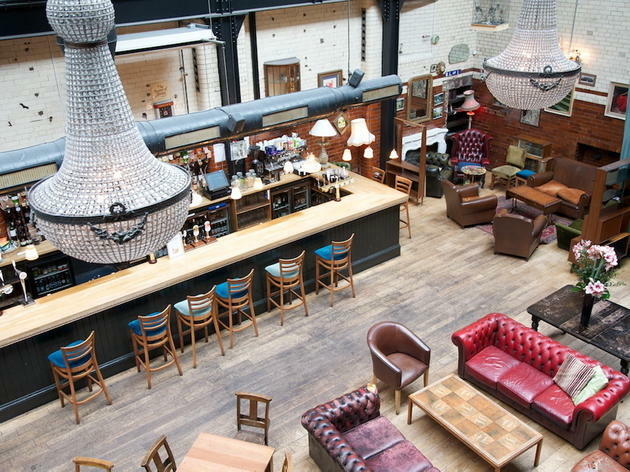 Hard to spot but impressive once you find it, this converted tram shed incorporates a cavernous, chandelier-lit main bar and a smaller mezzanine, filled with decorative quirks and televisions for football viewing. Don’t expect a too laddish crowd, though: the offbeat tone is set by a pair of winkle-pickers displayed under glass as you walk in, while Lionel Ritchie beams a Lionel Ritchie smile from an album cover mounted on the back bar. Tooting Tram & Social can cater for parties of 140 to 440 people. 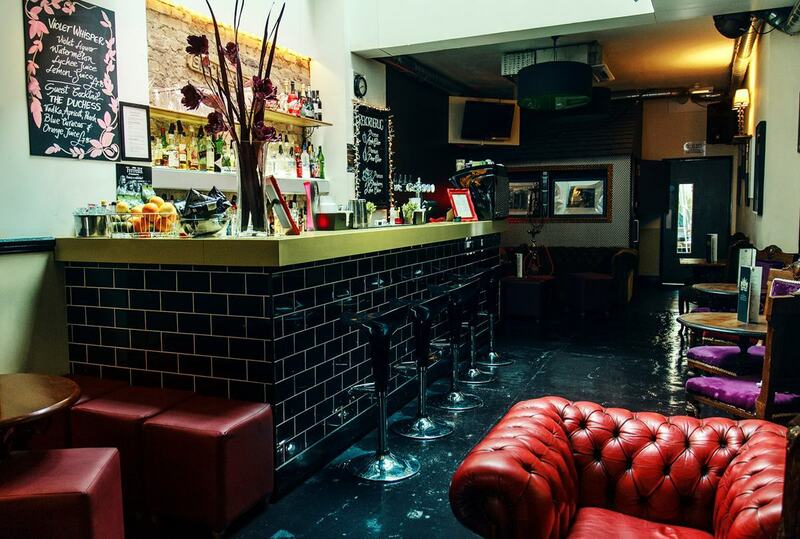 Contact tootingtram@anticlondon.com, 0208 767 0278 or fill out their online booking form. This duck-egg blue, nineteenth-century former Welsh Presbyterian chapel may look odd next to a west London housing estate, but once inside it’s delightful, with a wood-panelled gallery, complete with its own pipe organ. 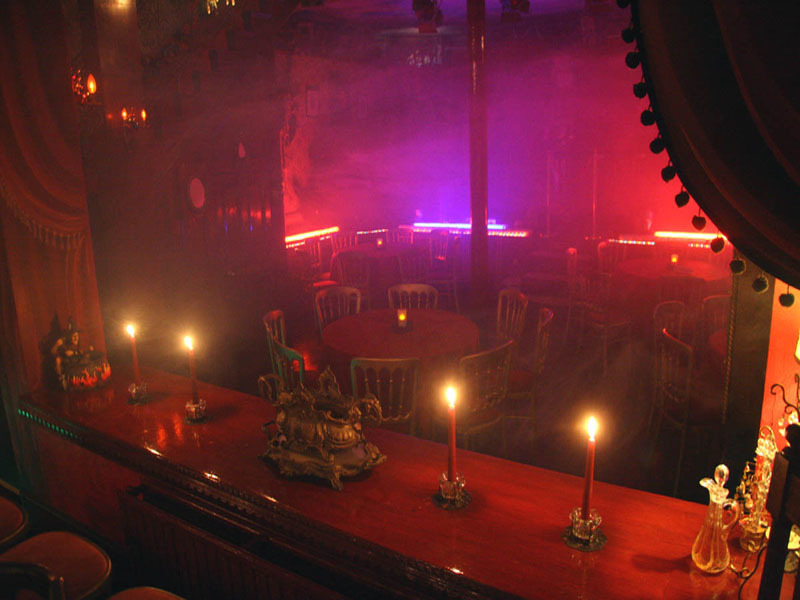 It’s a dramatic setting that can be dressed up and themed – Caribbean, gothic and sci-fi have all been done here. You can also hire the Lower Hall – the former church crypt has a low ceiling and solid soundproofing, so live bands sound amazing here. You can rent the entire venue, The Upper Hall (up to 180 guests) or The Lower Hall (up to 80). Contact info@amadeuscentre.co.uk or 0207 286 1686. A historic venue in Shepherd’s Bush, Bush Hall has been the setting for a soup kitchen, a dance hall, a bingo hall and a snooker club. It’s now a popular music venue. 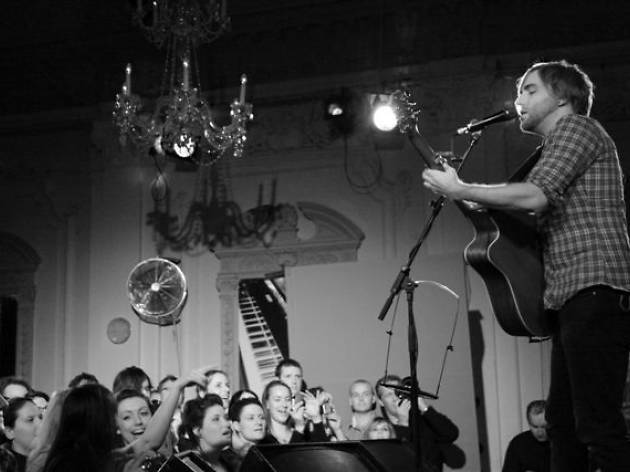 Folk, blues, country, alt rock – you name it, Bush Hall does it. And it can play host to your Christmas get-together too. You can hire the entire venue (up to 350 guests) for your event. 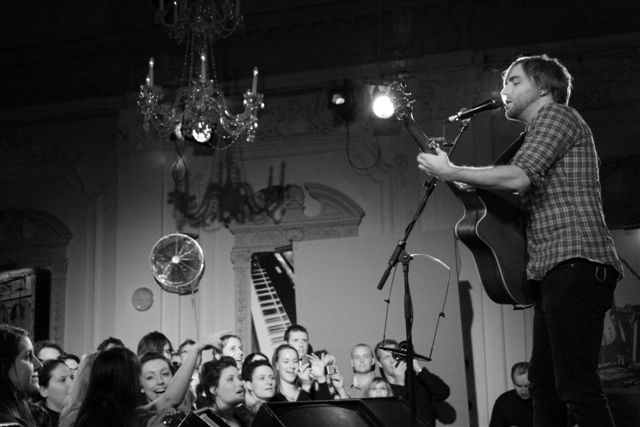 Contact notes@bushhallmusic.co.uk or 0208 222 6955. Fancy something a little bit different this year? 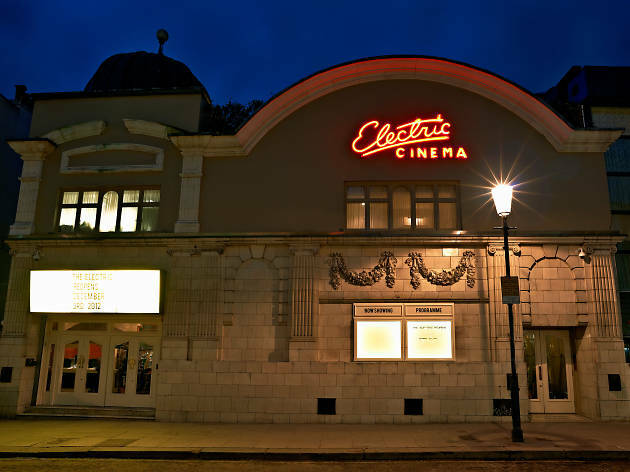 The Electric Cinema’s restored auditorium in Notting Hill is a unique space available for private hire. 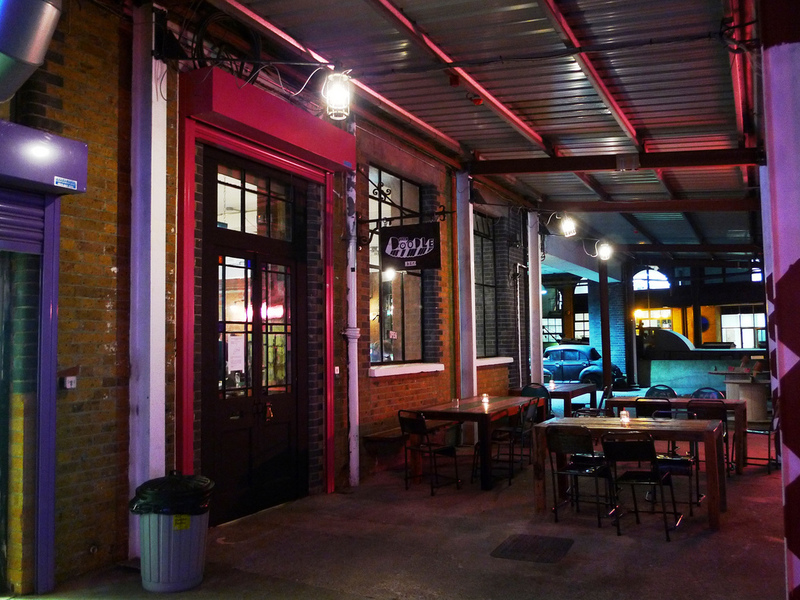 The retro cinema serves food and drinks and boasts plush leather armchairs, sofas and comfy double beds. 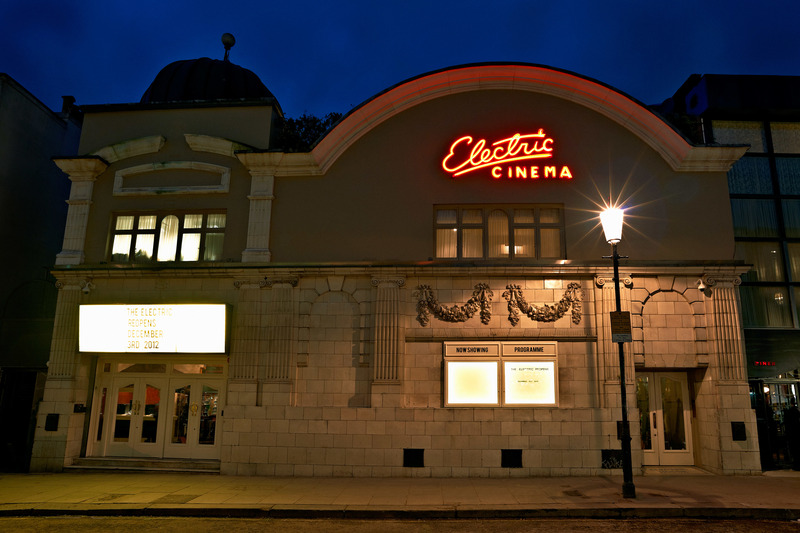 You can hire the entire Electric Cinema for private screenings and parties (up to 83 guests). 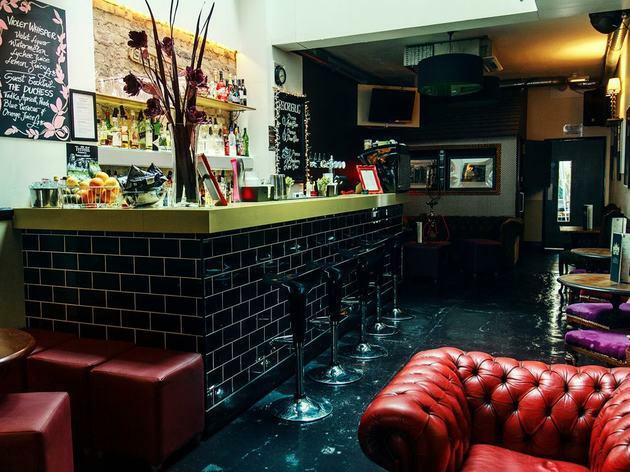 Contact privatehire@electrichouse.com or 0207 908 9696. 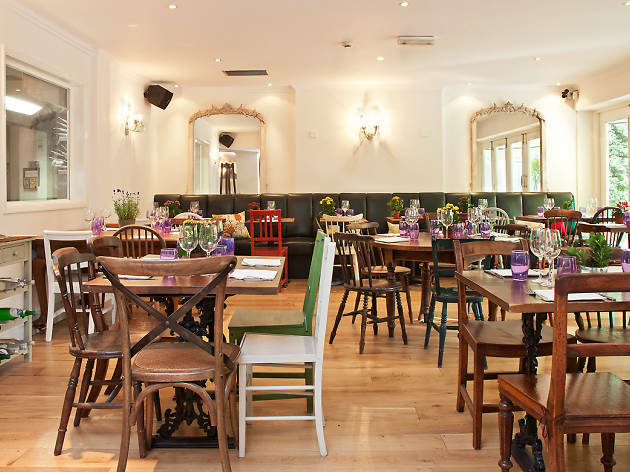 This gastropub on the outskirts of Hammersmith is as pretty as a picture. It’s all flowers, fairy lights and distressed furniture. The Hampshire Hog boasts a big beer garden for summer months, but the pub’s cosy corners and function rooms are ideal for wintery soirees. Chefs cook up seasonal food all year round but they have special party packages for big groups. You can hire the entire venue or The Pantry (up to 35 guests), The Mirror Room (up to 30), The White Room (up to 55) and The Dining Room (up to 70). Contact info@the-hog.com or 0208 748 3391. 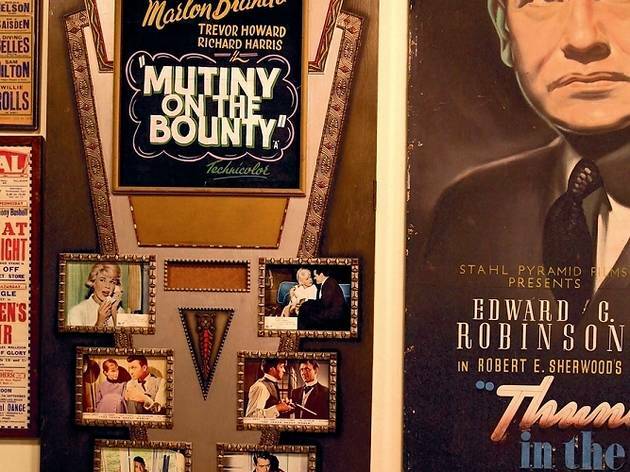 The Museum of Brands is a nostalgia-fest just around the corner from Portobello Road. It’s home to over 12,000 retro items and oddities, from First World War Oxo Cubes and 1930s Mars Bars to the very first Rimmel cosmetics. 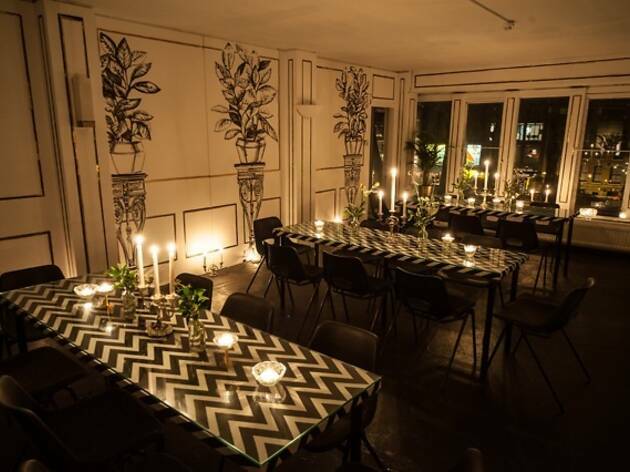 The venue would make a quirky backdrop to any festive gathering, but would be perfect for a more corporate affair. You can hire the whole museum for evening events (up to 250 guests). 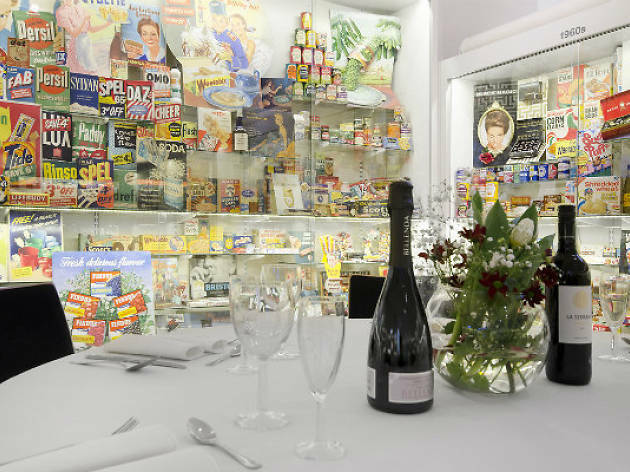 Contact events@museumofbrands.com or 0207 243 9610. Venue says Easter fun for families: Sat Apr 6 – Mon Apr 22. Featuring workshops and trails. Check out our website for details. MODE offers an experiential and relaxed restaurant, inspired by eclectic culture and music, nestled in the vibrant hub of Notting Hill. Split across a variety of spaces, the Cocktail Lounge, main restaurant, mezzanine and private dining room, diners can choose from MODE’s contemporary Britsh a la carte menu. Completing MODE’s experience is the bar, offering an innovative selection of classic and contemporary cocktails, alongside a sophisticated wine list and house beers. You can hire the entire venue (up to 650 guests), The Cocktail Lounge (up to 150) or Main Floor (up to 500). Dedicated to polymorphic pleasures of very much an arts-based kind, this scruffily chic basement centre is home to regular live gigs, DJ nights and one-off parties, and is available for private hire. They'll also help you plan your Christmas party. You can hire a booth (up to 15 guests) or the entire venue. Contact hello@nottinghillartsclub.com or 0207 460 4459. Paradise makes decorative use of its name, taken from GK Chesterton’s poem ‘The Rolling English Road’, by filling its high-ceilinged interior with religious icons, angels, cherubs and flowery chandeliers, even extending the effect to two huge stone vases of flowers on the bar counter. With its banquet-sized dining hall, courtyard garden and roof terrace, Paradise does a roaring trade in private dining. The rest of the time the Paradise, whilst frequented by more DJs than you can throw a bootleg at, is more friendly boozer and restaurant than DJ bar. You can hire private dining rooms (up to 50 guests) as well as private rooms and the entire venue. Contact 0208 969 009 or bookings@theparadise.co.uk. Book yourself a festive gathering with a green-fingered twist. This Richmond venue is so much more than a garden centre. 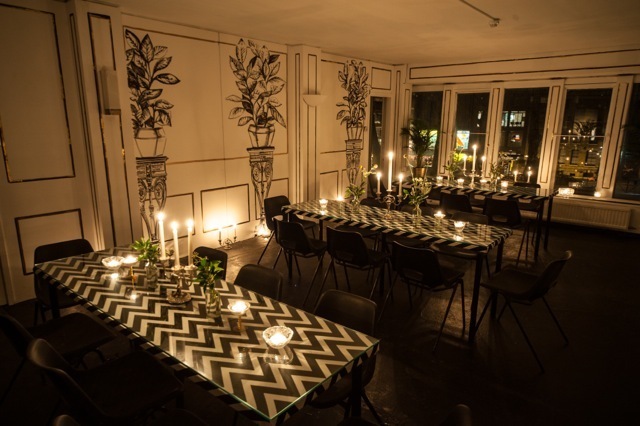 Former Hix Soho chef Damian Clisby serves up a seasonal menu in the venue’s greenhouses, which are decked out with flowers, candles, Indian furnishings and rickety tables and chairs. It’s a little slice of rustic charm in the city. 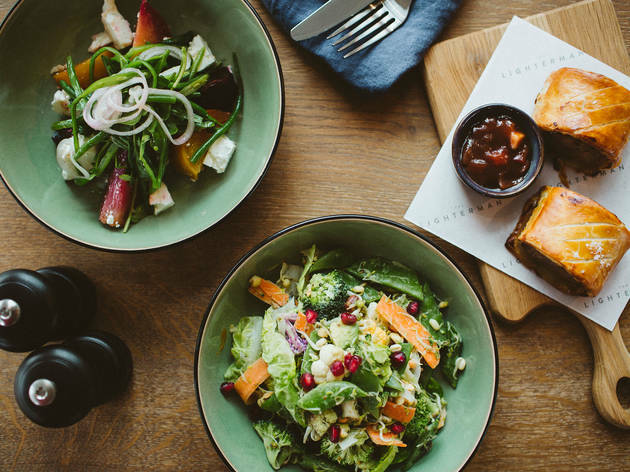 You can book large parties into the restaurant or exclusively hire Glasshouse III (up to 40 guests) and Petersham Nurseries Café (120 guests). Contact events@petershamnurseries.com or 0208 940 5230. 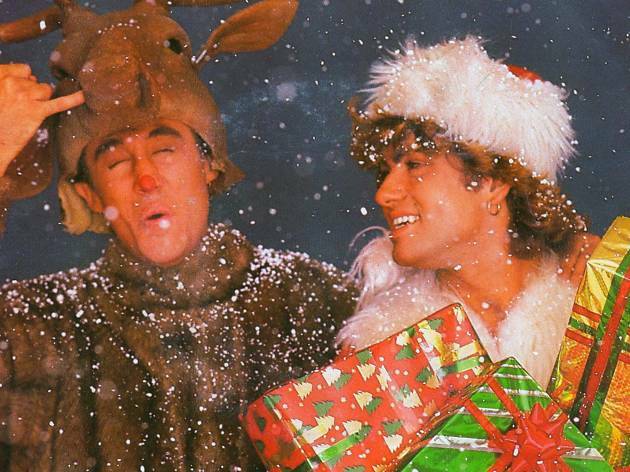 Here’s our countdown of the Top 50 Christmas songs, from ancient carols to the best Christmas Number Ones. 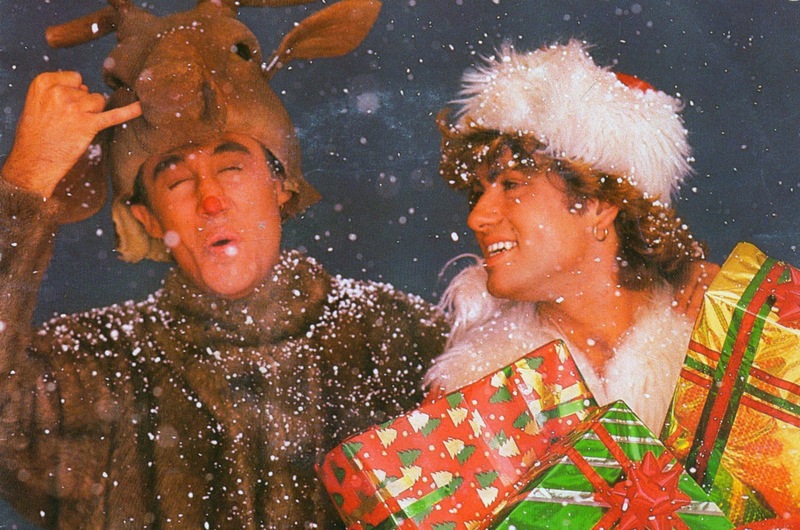 It’s the perfect soundtrack to your Christmas party.